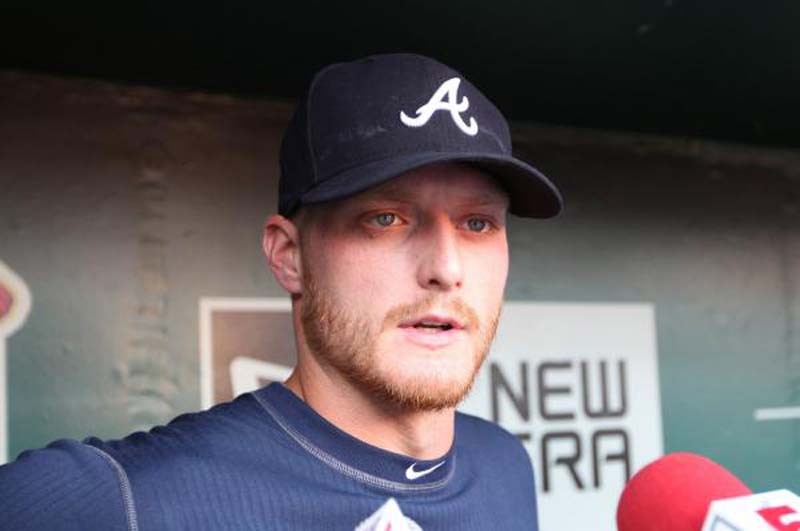 Monday is a day that Shelby Miller has been waiting for since he underwent elbow surgery more than 14 months ago. The Arizona Diamondbacks right-hander will make his first major-league appearance since April 23, 2017, facing the Miami Marlins and right-hander Dan Straily (2-3, 4.89 ERA). The Diamondbacks, who lead the National League West with a 44-33 record, have won four games in a row. Now they get back Miller, a 27-year-old former first-round pick who was drafted 19th overall by the St. Louis Cardinals in 2009. He went 15-9 with a 3.06 ERA in 2013, finishing third in the Rookie of the Year voting. Since then, however, Miller has been traded twice -- by the Cardinals to the Atlanta Braves and then to Arizona before the start of the 2016 season. So far, the Diamondbacks haven't gotten much return on their investment. Miller went 3-12 with a 6.15 ERA in 2016 and 2-2 with a 4.09 ERA before getting hurt a year ago, lasting just four starts. "I definitely have some things to prove over here," Miller, an All-Star with Atlanta in 2015, told azcentral.com. "I feel I was throwing pretty well last year. Unfortunately, I got hurt." Monday represents a fresh start for Miller, who made four starts in extended spring training earlier this year followed by four minor-league rehab appearances. "I'm super excited to be here," Miller said. "For me, it's a huge accomplishment. "Command was the last thing to come back. But I feel it is there now. I wouldn't be here if I didn't feel I was ready to pitch." Straily, who will be Miller's counterpart on Monday, faced Arizona earlier this year, allowing one run in 4 1/3 innings of a 6-1 loss to the Diamondbacks on June 3. In Straily's most recent start, he lasted just 1 1/3 innings before he was ejected for the first time in his career, exiting during a 6-3 loss to the San Francisco Giants. Straily was tossed out after he hit Giants star catcher Buster Posey with a pitch. "I don't know," Posey said when asked by the media if the hit-by-pitch was intentional. "It sure seemed that way." Of much bigger concern for the Marlins (31-47) is the fact that they have lost their past five games when Straily starts. Straily has zero quality starts during that span. The Marlins, who are in last place in the NL East, beat the Colorado Rockies 8-5 on Sunday for their second straight win. Miami finished 5-4 on its road trip to the Baltimore Orioles, San Francisco Giants and Colorado, taking two of the three series. It is Miami's first winning road trip of the year. The Marlins are 11-11 in June, which has already made this their best month of the season. And they have more road wins (17-26) than home victories (14-21). Meanwhile, Arizona has a winning record at home (23-16) and on the road (21-17). They are 16-6 in June after a poor May (8-19). The Diamondbacks are also 3-0 against the Marlins. Hot Miami hitters include left fielder Derek Dietrich, who was 4-for-5 on Sunday to raise his batting average to .302, and catcher J.T. Realmuto, who went 1-for-3 and is batting .308. Dietrich batted .476 for the week with three homers and three multi-hit games. Realmuto hit .360 this week with five doubles, one homer, six RBIs and at least one hit in all six games.